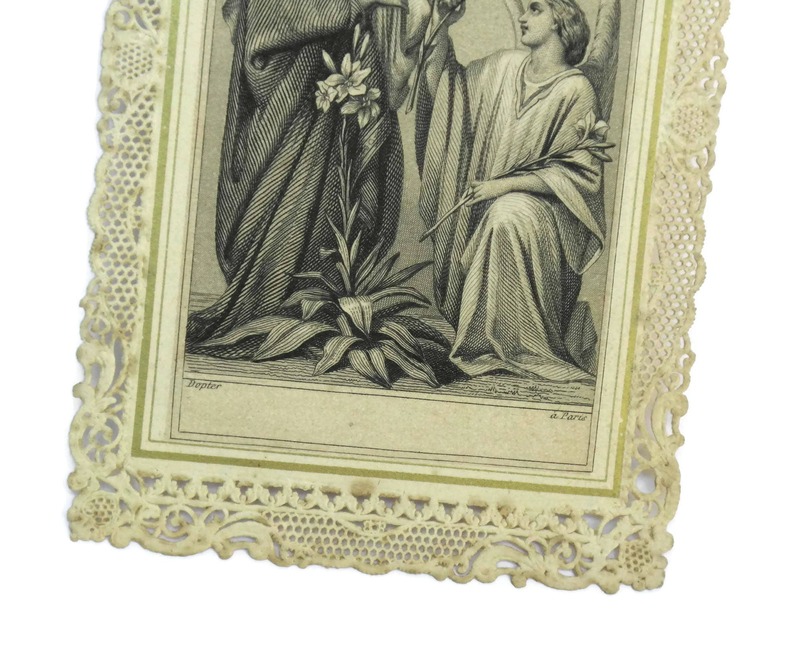 Antique Cavinet Holy Card. 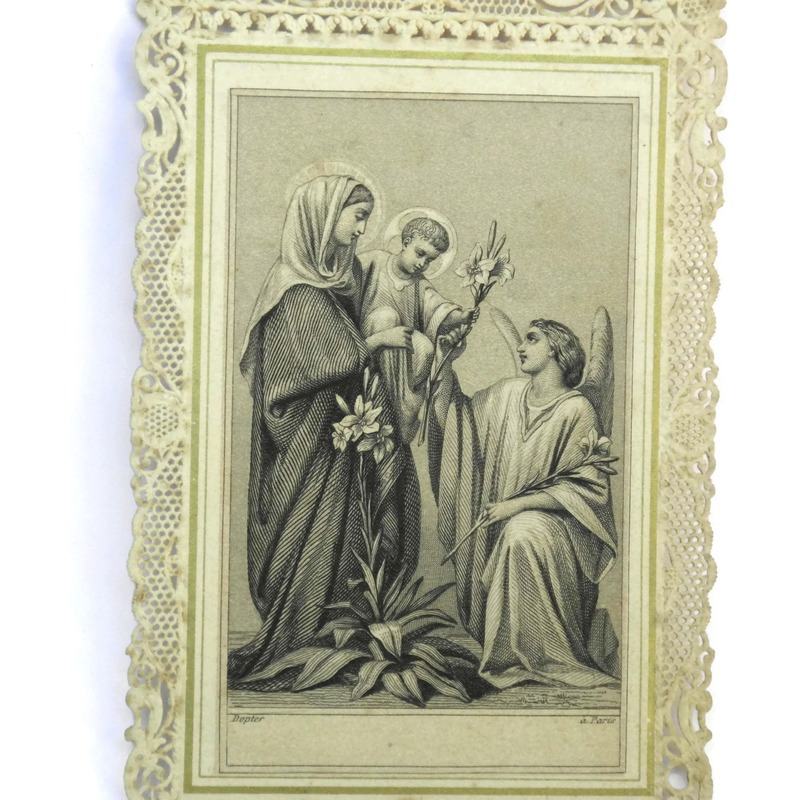 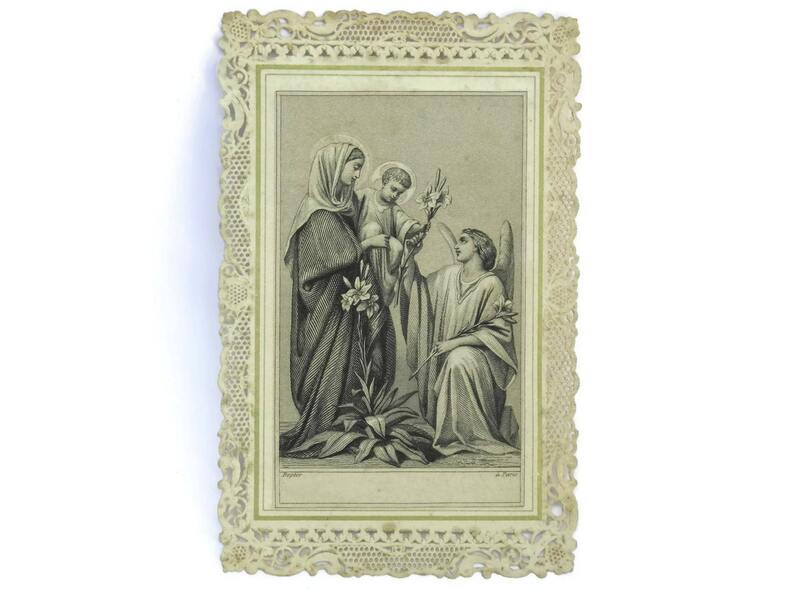 French Ephemera Card with Mary and Jesus Print and Lace Border. 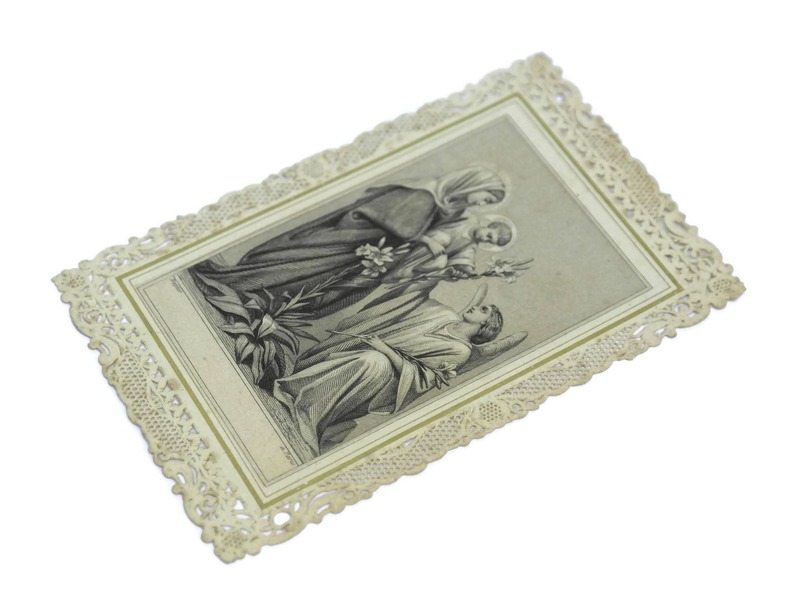 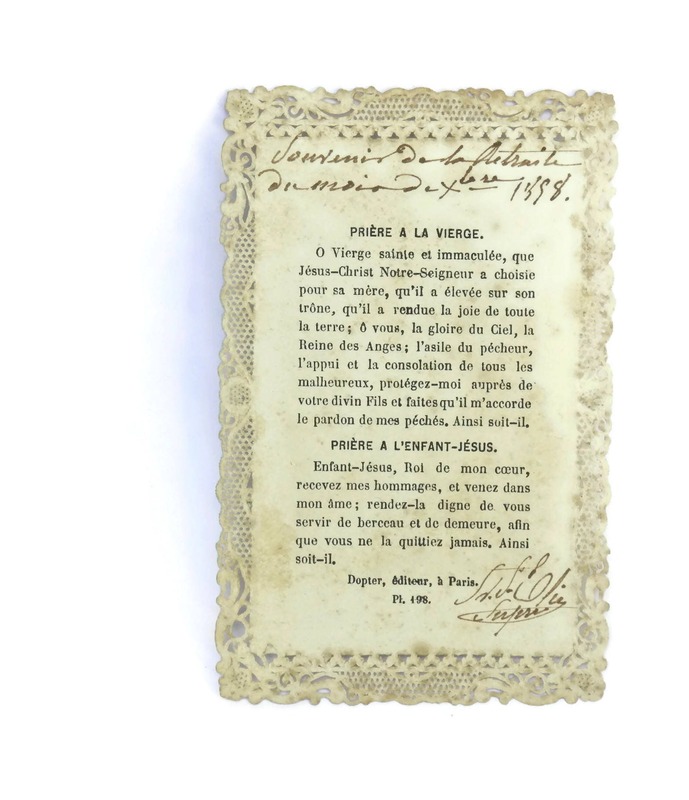 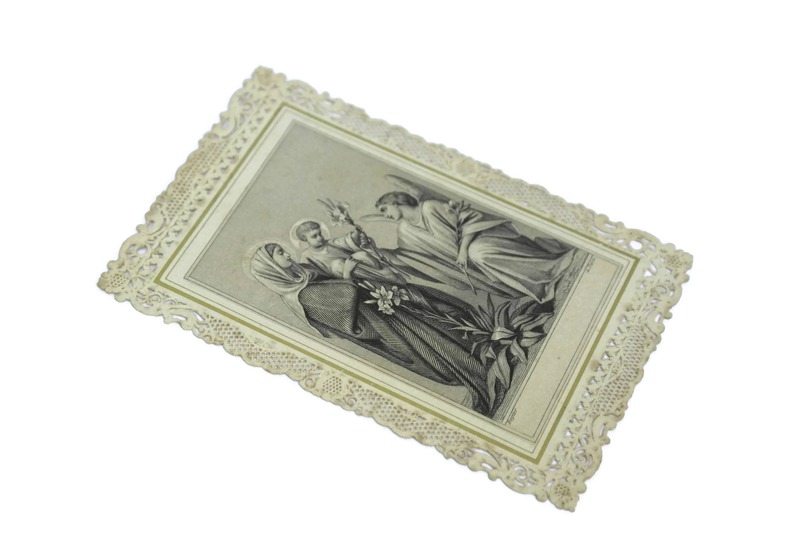 A beautiful antique Cavinet holy card dating to the late 1800s. 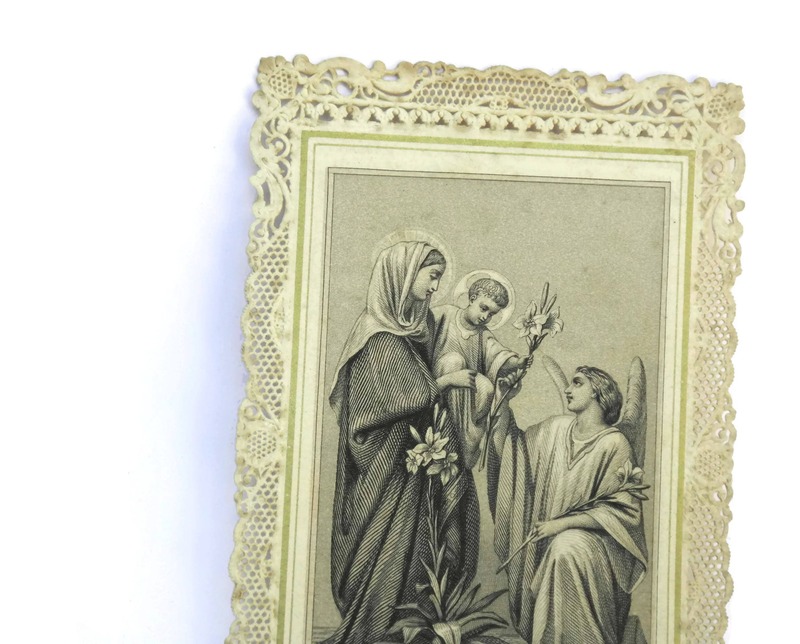 It features a printed illustration with Mary and the Infant Jesus. 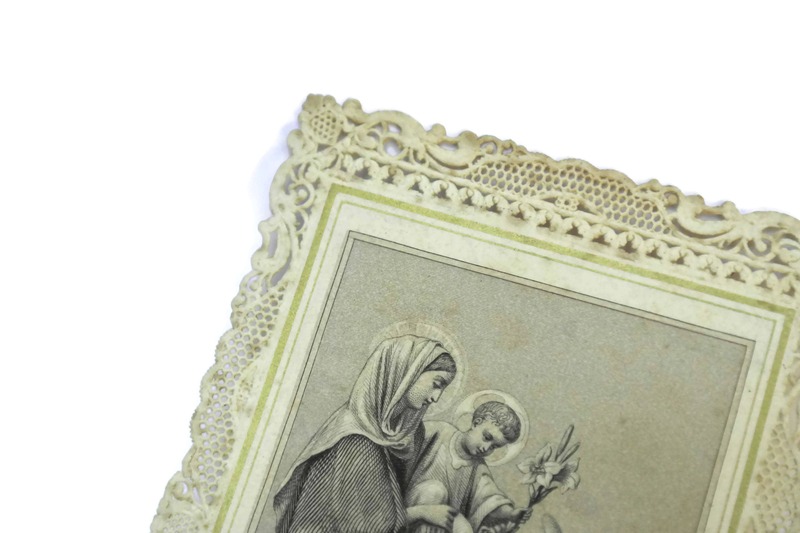 The religious image has been printed on card with an exquisite die-cut lace border with ornate details. 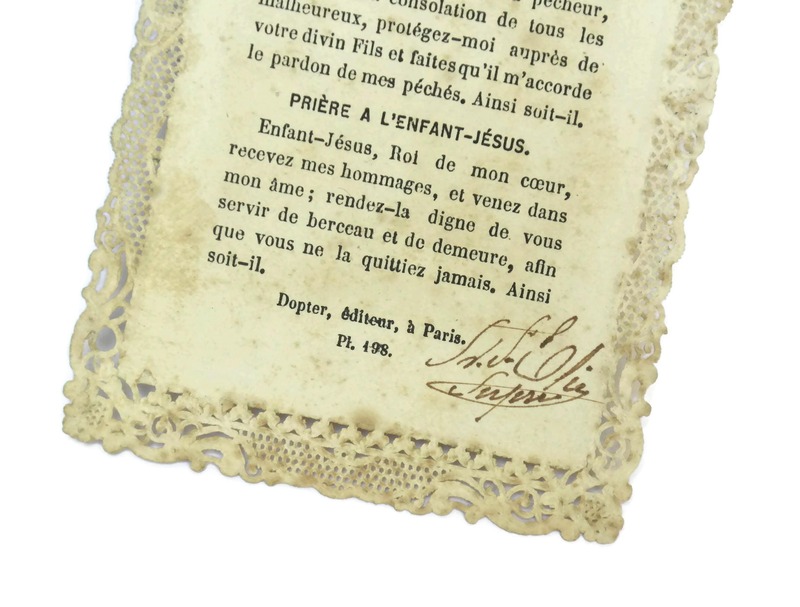 It will make a great addition to your French ephemera collection. 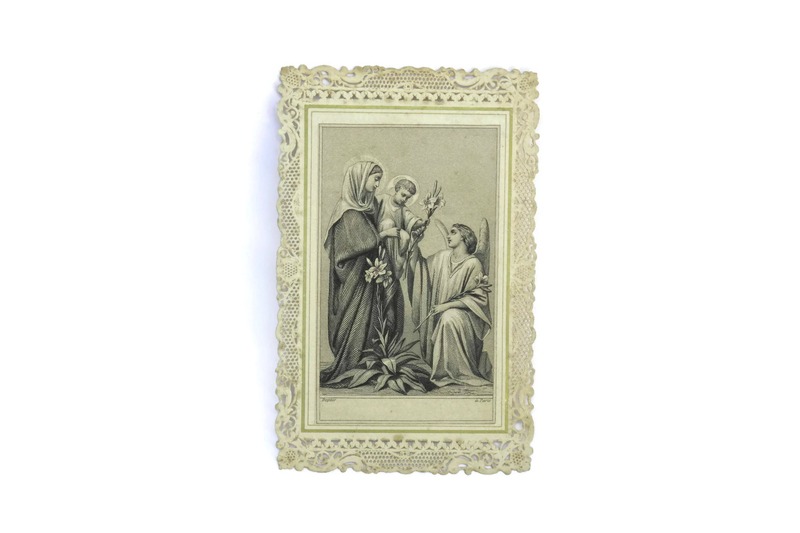 4 1/4" Tall x 2 3/4" Wide (11 cm x 7 cm).